April showers bring May flowers, but a month of May book purchases launched Michael Chabon’s Moonglow into our Hall of Fame. It’s the author’s second appearance there; Telegraph Avenue made the list four years back. In “Scheherazade,” a man living in isolation receives regular visits from a woman who claims to remember a past life as a lamprey; in “Yesterday,” a university student finds himself drawn into the life of a strange coworker who insists that the student go on a date with his girlfriend. Could this book become Murakami’s third to make our Hall of Fame? Only time will tell. 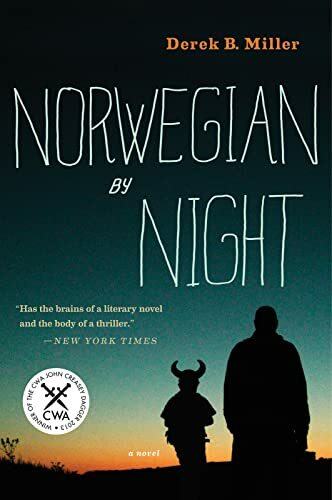 Meanwhile Derek B. Miller’s Norwegian by Night continues its reign over our list, further demonstrating that if you want to sell books to Millions readers, you ought to get an endorsement from Richard Russo first. Elsewhere on the list, a few movers moved and shakers shook, but overall things held steady. Next month, we’ll likely graduate two titles to our Hall of Fame, which means we’ll welcome two more newcomers. By then, we’ll be in full swing with our Great Second-Half 2017 Book Preview, which was a shocking thing to type. Can 2018 come soon enough? This month’s other near misses included: The Idiot, Eileen, The Nix, Exit West, and Enigma Variations. See Also: Last month’s list.